“An” versus “Any”: When One Word Makes a Profound Difference in an Insurance Contract | Jones, Skelton & Hochuli, P.L.C. A fundamental principle of insurance is that it provides a safety net for fortuitous events which may create liability against the insured. Equally fundamental is the principle that liability insurance policies do not insure foreseen, expected or intentional acts or omissions of an insured. With regard to a commercial general liability policy, these fundamentals are enshrined in the requirement of an “occurrence,” as used in the Insuring Agreement and defined by the policy, and in the exclusion for “expected or intended injury.” However, these principles are not always satisfied. “Bodily injury” or “property damage” expected or intended from the standpoint of [the] [an] [any] insured. This exclusion does not apply to “bodily injury” resulting from use of reasonable force to protect persons or property. The bracketed words [the] [an] [any] have been assigned significant importance in the case law, and are also at issue in cases examining other liability exclusions. Depending on which word is used in the exclusion, an employer-insured may be covered for the vicarious liability of an employee who acted with intent to cause “bodily injury.” This includes cases of clear intent to cause physical harm constituting assault, and this result is contrary to the fundamental insurance principle of protecting against only fortuitous risks. The Arizona Court of Appeals addressed this issue in American Family Mutual Insurance Company v. White, 204 Ariz. 500, 65 P.3d 449 (App. 2003). In White, American Family issued a homeowners policy to its insureds, whose son was indicted on two counts of aggravated assault after assaulting the plaintiff. In the civil litigation, the plaintiff alleged that the insureds were liable for negligent supervision of their son. American Family denied coverage for the claims based upon a “violation of law” exclusion, which excluded bodily injury “arising out of . . . violation of any criminal law for which any insured is convicted . . . .” (emphasis added). In White, the appellant argued that the severability clause mandates that an insurer determine the applicability of exclusionary clauses separately as to any insured asserting coverage. This clause states, in part, that the rights or duties assigned in the coverage apply “separately to each insured against whom a claim is made or ‘suit’ ‘is brought.” As such, the appellant claimed that the exclusion did not apply to the negligent supervision claim against the insureds because only their son was convicted of violating a criminal law. The court held that the phrase “any insured” in an exclusionary clause means something more than the phrase “an insured.” For purposes of this analysis, “the” can be similarly treated as “an.” Specifically, the distinction is that [an] refers to one object, and [any] refers to one or more objects of certain type. Therefore, the court held that the phrase “any insured” in an exclusion bars coverage for any claim attributable to the excludable acts of any insured, even if the policy contains a severability clause. Had the phrase read “an insured,” the excludable conduct would had to have been attributable to each insured separately. Arizona courts have not yet addressed this distinction in the context of the “expected or intended” exclusion in a vicarious liability situation. However, there is no indication that an Arizona appellate court would not apply the same rationale adopted in White to such an exclusion. This leads to the illogical conclusion that an insurer would have to prove that the employer-insured also acted intentionally to preclude coverage for a purely vicarious liability claim. Because the underlying merits of the vicarious liability claim do not rely upon proof of the employer’s mental state, that “intent” will never be at issue and there will always be coverage for the vicarious liability arising out of the non-fortuitous and intentional acts of an employee. Although the separate analysis of each insured’s state of mind may be logical in the context of other non-vicarious claims that require an analysis of the insured-employer’s separate actions (negligent hiring, supervision, retention or entrustment), it is not so in the context of a purely vicarious liability claim. We also conclude that the negligent supervision claim against the Wildes is excluded because it derives from the claim against Travis, which is excluded. See Behrens v. Aetna Life & CAS., 153 Ariz. 301, 736 P.2d at 385 (1987) (finding that a claim for negligent entrustment or supervision could not exist apart from the excluded negligent operation of a boat). White, 204 Ariz. at 508. (emphasis added). Based upon this language, the court left open the possibility of a similar challenge to cases involving vicarious liability claims arising out of excluded conduct. That would appear to be an uphill battle given that the primary holding of the court was based upon specific policy language (“any” versus “an”) and well-settled analysis in cases across the country. Also, the Behrens’ decision, cited in White, did not involve an analysis of the “any” versus “an/the” issue in conjunction with the severability clause. Aside from the exclusion in addressing intentional acts, there is the potential coverage argument that the “bodily injury” was not caused by an “occurrence,” i.e. an accident. If the bodily injury was caused by the intentional acts of an employee, then it was not accidental. Therefore, it should be a logical extension that any claims arising out of that conduct, including vicarious claims, should not be covered as not qualifying for coverage under the Insuring Agreement. This analysis is independent of the applicability of the exclusion addressed above and was addressed by the United States District Court, District of Arizona, in National Fire Insurance Company of Hartford v. Lewis, 212 WL 6552596 (D. Ariz. 2012). In that matter, National Fire issued a business owners’ liability insurance policy to a medical practice. The practice and individual physicians were sued based on allegations that a physician inappropriately viewed and touched patients under the guise of performing legitimate medical treatment, allegedly constituting assault and battery. Further, the practice and other physicians were allegedly vicariously liable for that tortious conduct. The court noted that none of the parties contended that the defendants intended or expected the tortfeasor doctor to do what he did. Thus, while the tortfeasor doctor may have intended his own actions, from the perspective of the other defendants, the actions were “undesigned, sudden and unexpected events” that met the definition of an accident. The court determined that “consequently, there has been an ‘occurrence’ under the terms of the business owner policies,” and the vicarious liability claim qualified for coverage under the Insuring Agreement. 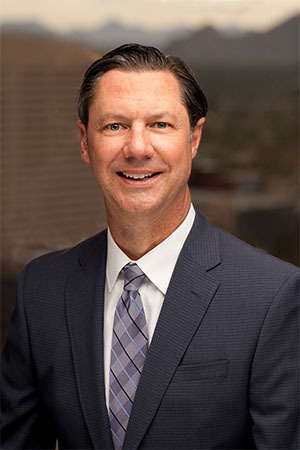 National Fire is a District Court decision, and that portion of the court’s opinion is not premised upon any well-settled Arizona law interpreting whether an “occurrence” could be attributed to an insured-employer in a vicarious liability claim arising out of the intentional conduct of an employee. Thus, there is an argument that this issue remains unsettled in Arizona, and it should be examined by an Arizona state appellate court. Aside from being a co-conspirator, it is difficult to imagine a factual scenario in which an employer-insured intends for its employee to intentionally cause another harm so that the vicarious claim would be considered non-accidental and not covered. The practical effect of White and National Fire is that coverage may be afforded under a liability policy for clearly non-accidental conduct. Although the “occurrence” analysis arises out of common law largely beyond an insurer’s control, an insurer can control this risk by changing one word in the “expected or intended injury” exclusion. Using “any” as opposed to “an” or “the” excludes all claims arising out of excluded conduct, and fulfills the insurance principle of protection only against fortuitous events.